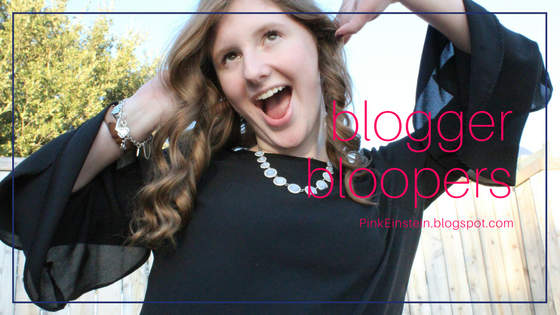 Today I am back with another edition of Blogger Bloopers! During this photo shoot I was so excited that I didn't have to wear sunglasses any more so there were quite a few funny faces made. You can read the actual post here. I had so much fun taking these pictures with Pudge. Right as my sister went to take the picture my big dog got out of the pool and shook all of the water off on me. You can read the actual post here. The day we took these pictures we were doing multiple outfits and it was soooo hot. I was trying to make it more fun by making faces. You can see the good pictures here. This is when McCray and I went to the pumpkin patch. We weren't used to taking pictures in public and we were having a hard time figuring out how to pose and what settings the camera needs to be on. You can read the actual post here.